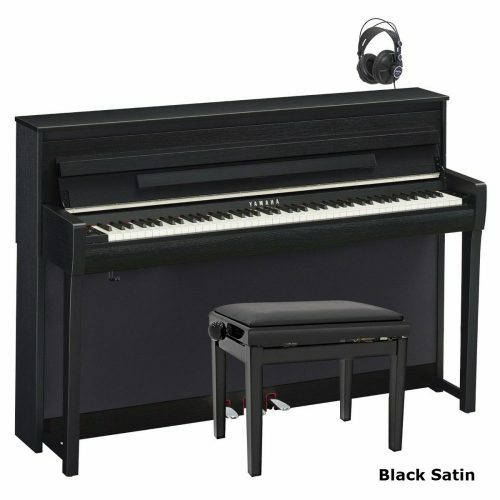 ~Includes free piano stool and headphones worth £120. Rent-to-Buy from £39 per month. ARHA (Real Hammer Action) simulates the natural touch and playing performance of an acoustic grand piano. It offers a smooth and responsive feel. The Keyboard doesn’t use springs, instead its action is provided by hammer weight, which gives it an authentic piano feel. The key tops are made to feel like ivory. They are smooth and silky, have more grip than plastic keys, and absorb sweat from your fingers to prevent slipping. The Broadway B1 is USB class compliant and can therefore be used as a master keyboard with any digital audio workstation. The built in GM sound module is multi-timbral (16 channels) but can only be accessed from a PC (MAC or Windows) via USB. It can play back midi files from a computer that could be used as backing tracks to play along to. All Broadway pianos meet the required safety standards: CE, UL and FCC. Free delivery anywhere in the UK. The piano comes flat-packed and is easy to put together. The electronics, keyboard and pedals are fixed in – all you have to do is assemble the stand which consists of 2 legs, a back board, and a bottom board. There is only a few screws that fix the stand to the keyboard. I advise two people to do the job though – purely because of the keyboard’s weight. The piano is heavy, and it’s safer to have a helping hand when lifting it on to the stand. I love the Broadway B1 we took delivery of last week. I bought it unseen and unheard and purely on your reviews and then recommendation. It feels like an acoustic piano and has a much better sound (my old piano was really old!). The fact that it’s digital and therefore has headphones is wonderful, as I can now practise without disturbing the neighbours – as a beginner something I’m sure we all appreciate! I haven’t tried out it’s many features yet but looking forward to introducing my granddaughter to it – again the headphones will be a real bonus! We needed an electric piano for the family to learn on. 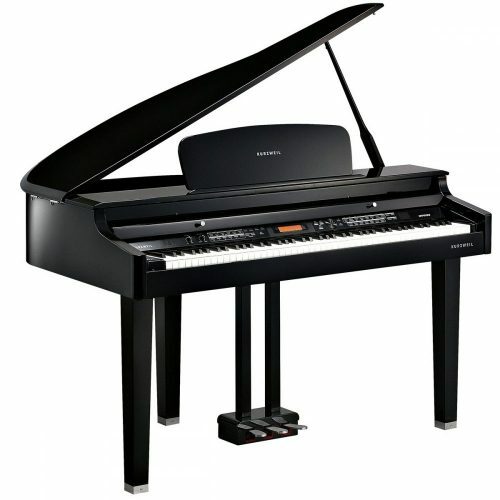 Choose the Broadway B1 from UK Pianos after a bit of searching,. Service was great and includes on site warranty work if required for 3 years which gives me piece of mind but the piano appears to be a solid piece of technology. 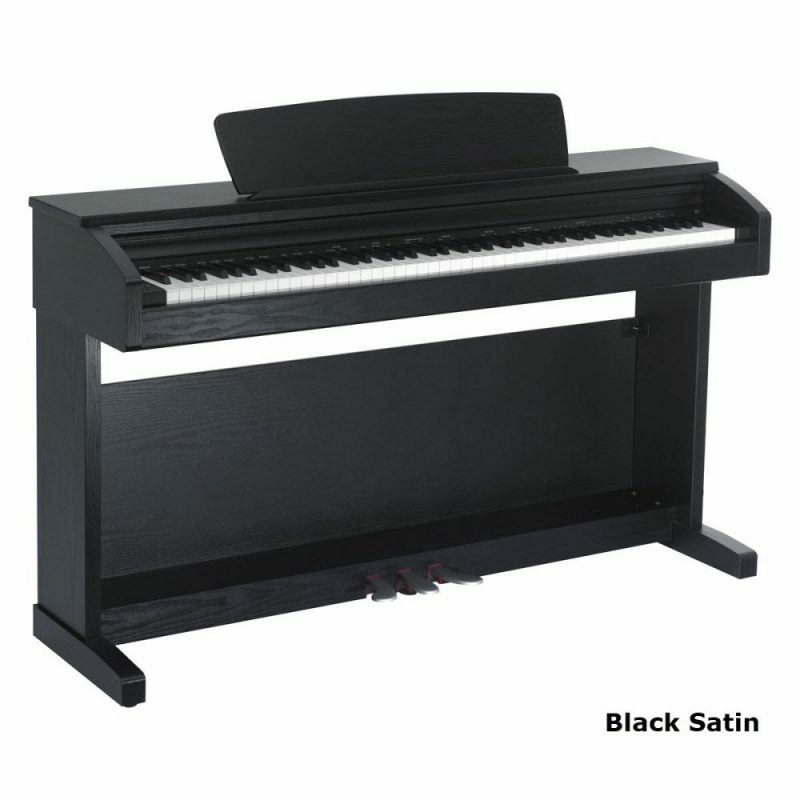 I recommend both UK Pianos shop and manufacturer. Wanting to buy a first but good piano for both myself and son to learn on took quite a lot of investigating. 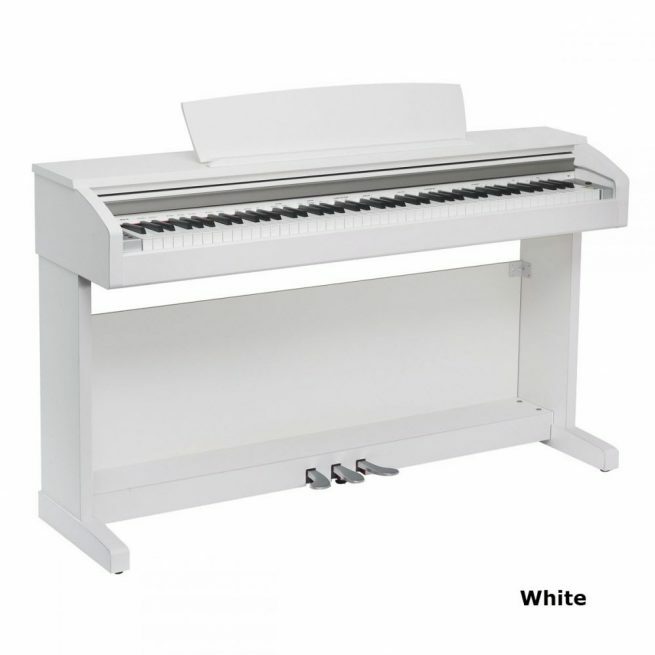 This uk pianos website has the clearest and most relevant information you will need to make the right choice based on your budget and requirements. Very pleased with the Broadway B1 piano purchased and excellent service. Myself and both my children are enjoying learning this new skill with an excellent instrument. We bought our daughter a Broadway B1 digital piano in satin black from UK Pianos just before Christmas. The service from UK Piano’s was fantastic, from choosing the right piano right through to delivery. I have been very impressed with my Broadway B1 piano. Delivery was on the day expected and the driver was extremely polite and helpful. The maple piano and stool match my office furniture perfectly. Thanks to Graham I have a lovely sounding piano for a really competitive price. As I have recently retired, I now practice daily and thankfully some of my skills from a teenager are returning and I can play several pieces. I am really enjoying my purchase, and my husband has not complained once, which in itself is a miracle! “Thanks to Graham and the team at ukpianos for all the impartial help and advice and professional service. I bought a Broadway B1 that was in the same price range as a Casio but with a better look much more organic sound and all together a better feel. 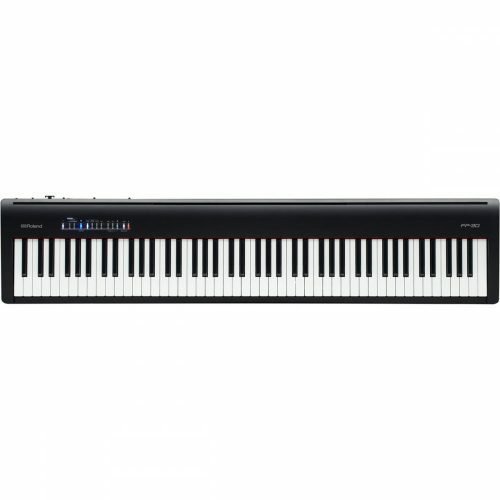 I can only recommend this digital piano for the price as I have tried quite a few and I have not found competition in its price range. The delivery was also great got it next day and got an hour time slot for delivery which was very convenient. I have been loving my new instrument and since I have been taking classes with UK Pianos my skills improved a lot as well! I purchased my Broadway digital just under a year ago. I have not stopped playing it since it arrived. I bought it totally on trust having never heard or played this model, but Graham recommended it and he knows what he talking about. Delivery was pain free, on time and assembled for me. Recently my piano got a ‘clicky’ key. The engineer arrived yesterday exactly at the time arranged (definitely not Argos type service) and fixed the problem. If you want a piano you need this company. Thank you for your email and also your guide to buying a digital piano. After spending a great deal of time reading all your comments, I felt I was ready to make a decision. I traveled down to Enfield last Tuesday. All the ladies were very helpful and pleasant. After receiving your guide to buying a digital piano, I bought the Broadway B1. It was delivered on Saturday by a very helpful young man who assembled the piano for me. He even phoned ahead telling me what time he would be arriving. That is great customer service. I am sorry I do not have his name. All the staff at UK Pianos made the purchase a pleasure. 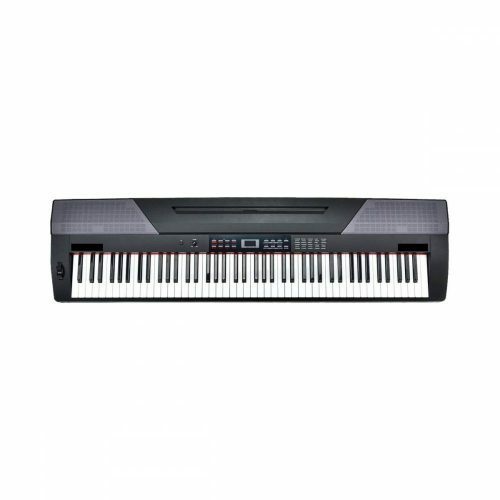 I have played the piano for many years and this is my second digital piano. The one I replaced I have had since 1988. Digital pianos have come a long way since then. The Broadway B1 feels like an acoustic piano and sounds like one. I am very happy with it. Thank you, Graham, and the staff at UK Pianos. Your booklet was invaluable, and after phoning you we finally decided to follow your advice and purchase the Broadway B1. This arrived very quickly, and although unfortunately there was minor cosmetic damage caused by manufacturing faults, we were delighted with your rapid response to this. The piano has a super touch and sound. Thank you for giving us such good advice and service all the way through. I live in SW London and I went to UK PIANOS last sat afternoon.  I am very pleased with the very good service provided by Afsana. After talking through my past experience and my desire of coming back to Piano lessons, I took the rent to buy plan on a Broadway B1. A member of staff who was doing the front garden played it for me! The Piano arrived well packed on the arranged delivery day and time. However, the stool was missing and as soon as I acknowledged to Uk pianos, the stool arrived immediately the day after. This is my Review of the Broadway B1 piano recently purchased and the associated service provided by UK Pianos. 1. 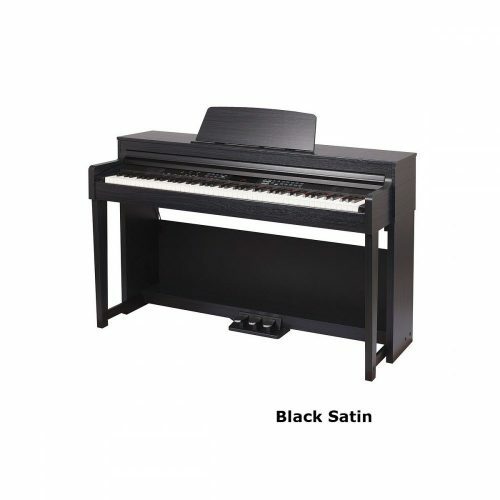 Choosing the correct piano was made easy with all the pros and cons fully explained by UK Pianos. 2. Photographs and specifications and full descriptions were all provided by UK Pianos. 3. There was no pressure to buy anything – just helpful guidance. 4. Purchase was made by ‘phone using my debit card. 5 .Delivery by TNT was arranged by U K Pianos and cost me nothing. We live in the Isle of Man but delivery took only 3 days. 6. The piano is full size and quite heavy (about 40 kg). It’s a two-man job to unwrap it, but the assembly is simple an takes about an hour. 7. The piano looks fantastic. 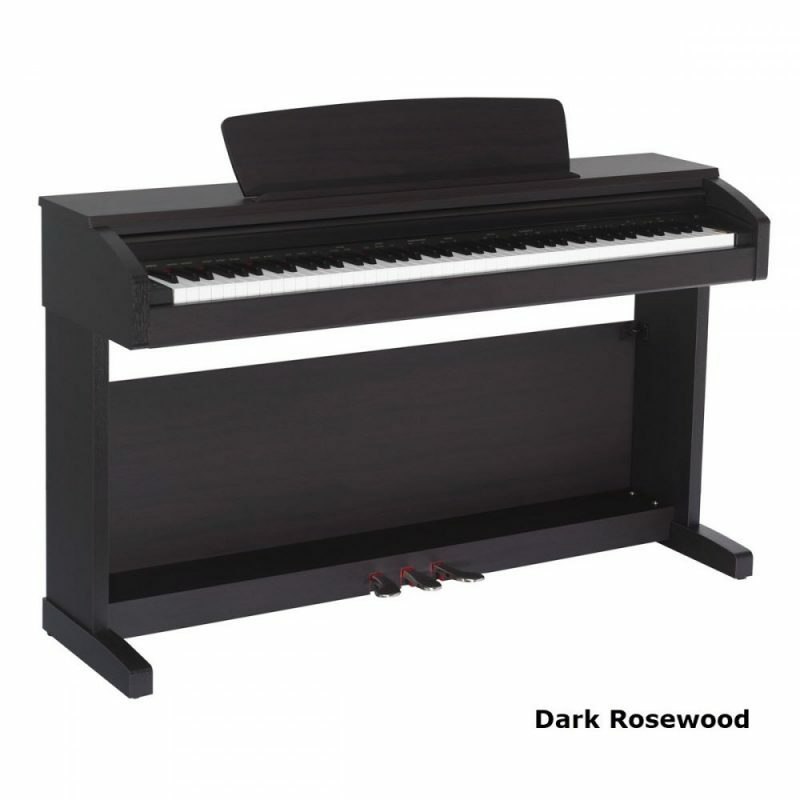 Ours is dark Rosewood but they do other colours including white and satin black. 8. The piano has quite a number of ‘voices’ but we have only used the grand piano setting so far and it is very authentic. There is also a master volume control and headphones are provided if you wish to play in private. 9. 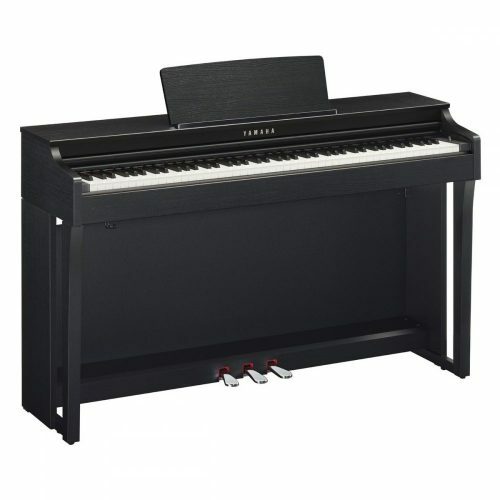 The Broadway B1 piano has fully weighted keys which respond faithfully to the pressure the player uses. So you can play softly or loudly (even extremely loud if you wish) with everything in between, simply by altering your touch. 10.It is fully guaranteed for three years, parts and labour. 10.All in all, the Broadway B1 a superb instrument costing a fraction of others available in the market. Many thanks for your help yesterday, we have unpacked our Broadway B1 and love it! We have recently purchased a broadway b1 from yourselves and received excellent service.